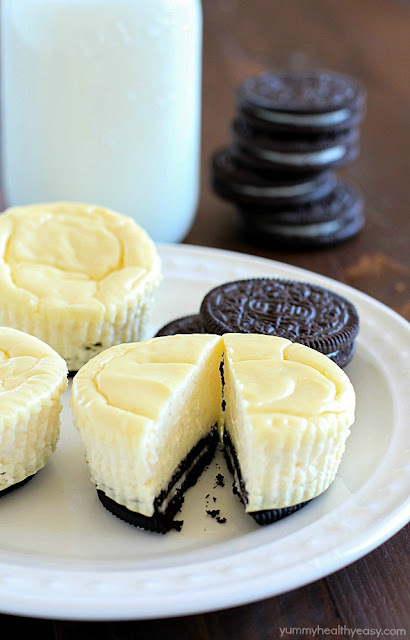 Mini Cheesecakes with an Oreo crust! 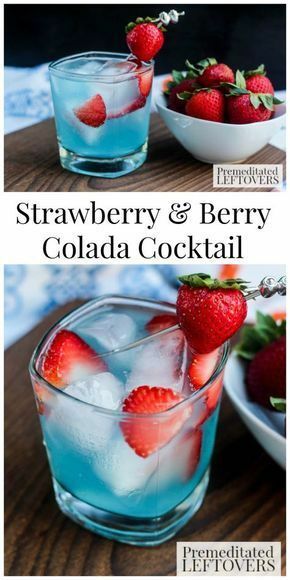 This lighter recipe is absolutely delicious and super easy to make. 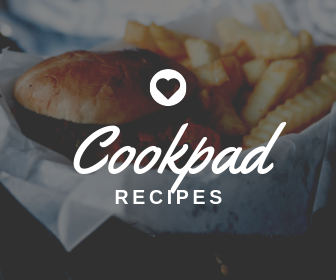 Only a few ingredients & whipped up in a matter of minutes. With less calories than a regular cheesecake + built-in portion control with the muffin tin! The cheesecake filling only has a few ingredients and they’re whipped up in a matter of minutes. It’s really one of the easiest desserts to make but it looks fancy. 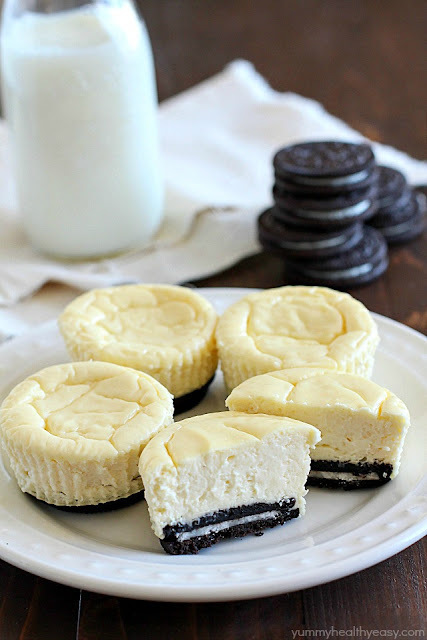 Especially when you cut into the middle of the cooked mini cheesecakes and you see the Oreo crust with the white middle between the layers. I love it! Preheat oven to 350ºF. Line each muffin tin with a cupcake liner. Place one Oreo cookie in the bottom of each cupcake liner. In a mixing bowl with beaters, blend together cream cheese, Greek yogurt and sugar until thoroughly combined. Add in vanilla and mix. Add in eggs, one at a time until blended. Using cookie scooper or spoon, scoop cream cheese mixture into the muffin tin, over the Oreo in the bottom. Place in oven and bake for 20 minutes. Pull out of oven and place muffin tin on a cookie rack to cool. When cool, lightly take out of muffin tin and peel away the liner. Enjoy!